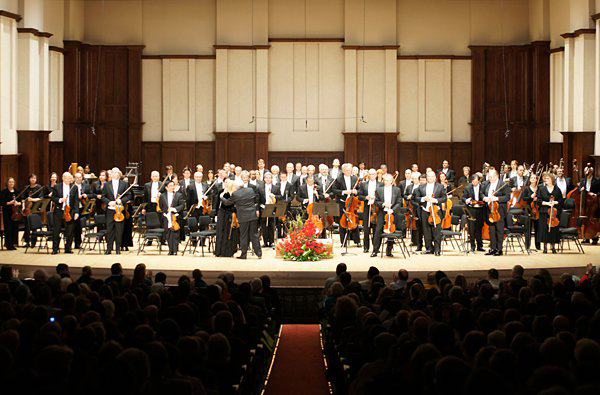 Yes – these beautiful pictures are from the DSO Facebook (swiped April 2011). 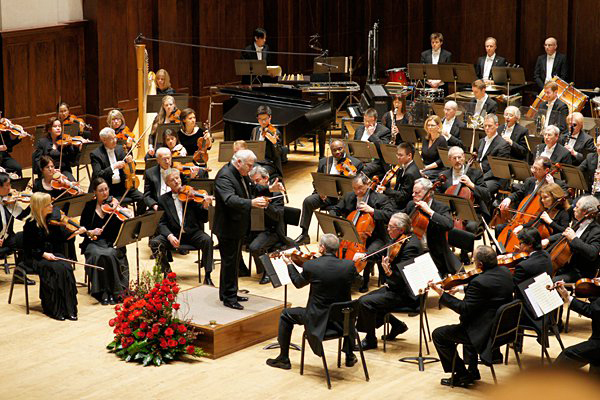 DSO purchased our original Allegro Chairs (with steel frames) in 2004 and they are still going strong. Onstage, whether at rest or in performance, the Allegro are cool! We were asked to make the back support (cushion part) to imitate their previous much-loved wood chairs (and we see at least one in the top photo). The Allegro look is very modern. A visit to our Allegro web page provides full details of the aluminum frame, adjustable solid aluminum leg extensions, and different back support bars for optimum physical support. 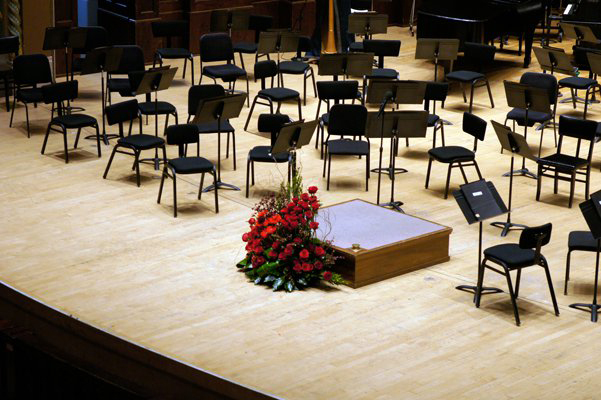 Now, every musician, in any section, can enjoy the desired height, level or forward slope of seat, and a back support placed where you want it, using as much of the seat as you prefer. Try it!